An extra 15,000 tonnes of rigid plastic packaging will be recycled in the UK following a WRAP loan of £1.15 million to ECO Plastics. 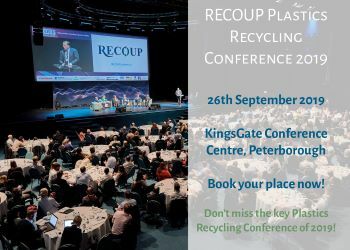 This will enable the Lincolnshire-based company to recycle a total of 150,000 tonnes of plastics annually. WRAP said that the investment will complement the joint venture that ECO Plastics has with Coca-Cola last year, and will mean that the company will be able to process rigid plastic packaging such as tubs, pots and trays as well as plastic bottles. This follows WRAP’s funding of the Biffa Polymers plant in Redcar in 2010 and is part of WRAP’s aim to increase the UK’s capacity to recycle its rigid plastic packaging by 100,000 tonnes per year through the Mixed Plastics Loan Fund.